It is hard to choose which viscera-turning scenes in Claude Lanzmann’s nine-hour 1985 Holocaust documentary “Shoah” hit the hardest. A memorable one features two Polish crones pointing out the homes and shops of their town’s now-disappeared Jews. The scene’s power might suggest Lanzmann’s hard glare said all there was to say about Jew and Pole, Jew and Catholic and the poison of collaboration that was Nazism and anti-Semitism in Poland. 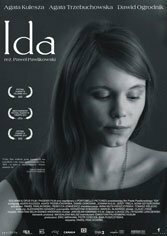 Until “Ida,” an 80-minute, black-and-white film by Polish director Pawel Pawlikowski that enters realms Lanzmann’s investigation could only suggest. It’s the story of Anna, born in 1945 and raised in a Catholic orphanage, unaware that her real name is Ida Lebenstein and that she is Jewish. On the eve of taking vows, Anna/Ida (Agata Trzebuchowska) is sent to visit her only remaining relative, her aunt Wanda (Agata Kulesza), who has a bloody past as a postwar prosecutor. Ida’s resemblance to her mother shocks Wanda into a prosecutorial investigation into her own difficult past (she abandoned her son, her sister and her niece to join the Resistance). 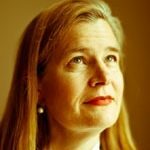 In Wanda’s battered car, quietist proto-nun and hard-bitten career woman with skeletons in her closet visit a countryside where the war is not in any way over — even on the cusp of the 1960s. They meet a young saxophonist (Dawid Ogrodnik), whose attraction to Ida crystallizes the differences between the two women. He becomes the catalyst for how each confronts the events that unite them. The cinematography and the soundtrack — Coltrane and Mozart in counterpoint — make this a film whose revisiting of painful facts has a deep emotional pull, one that even connoisseurs of Holocaust studies — and one would hope Poles — may never before have felt, and should.